I developed these patterns to help solve the problem of really wide and wonky borders. 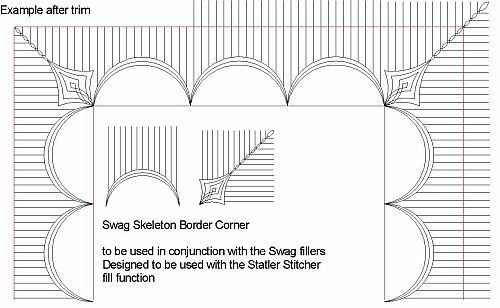 The Swag skeleton can be placed in a border with the piano keys overlapping the boundary . The Idea is to purchase the Skeleton Patterns then you only need to purchase the fillers that suit the quilt you are working on.